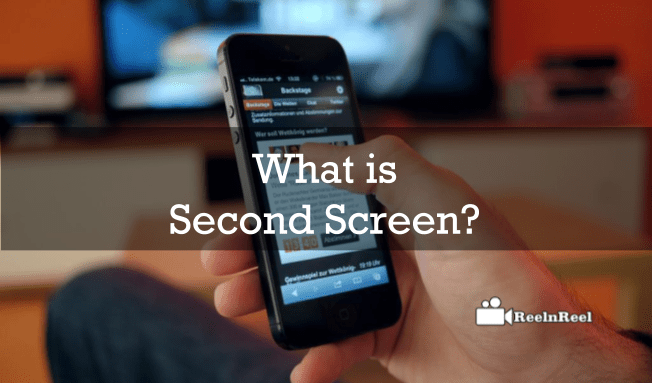 Home » Video Marketing » What is Second Screen ? The television screen was the only thing people were focusing on to enjoy their movies and shows earlier. But now the experience has expanded to the second screen. It said that people keep on browsing the internet on their mobile devices while watching the television. Millennial are also consuming video content on their second screens. This behaviour is to get more information on the content they are watching and also to distract from commercials that play between the programs. The second screen can be a tablet or a smartphone. These are the devices that people use while watching the television to connect more to a program by getting more information. The second screen helps to make television viewing more interactive through a special app for the particular program. The second screen helps to businesses to understand how to reach customers and how consumers are using the new technologies in the digital world. Second screen advertising drives the audience to view more advertising. The customers are driven to the second screen and access more related content and the advertisers can show more advertisements to the viewers. Second screen advertising is most powerful. It can enable the consumer to act immediately or take a decision about buying or ordering a product they are watching a show or in an advertisement on the television. Smartphones and tablets are not just standalone devices. These are used even when watching the television to play games or get more information about what we are watching on the big screen. There are many platforms and app for users who want a little more than just the television show. These are called the second screen apps. Download them to your mobile or tablet and acquire required information about the show or an advertisement. • Beamly TV was earlier called the Zeebox. This app finds what shows are on now on television and connects with other users who are chatting about them. The information about latest news, celebrities on the show and upcoming broadcasts also provided. • IMBd or internet movie database is another app that contains information about shooting locations, key quotes etc. of a specific series. Pay them and watch the latest episodes of your favourite show. • TheScore is a sport watching app that provides information about all major sports event. More than sixty-one people in the world are using mobile devices while they are watching the television. Advertisers are creating content to complement the content on television. The second screen used by young users. More than seventy percent of millennial are used the second screen while they are watching the television. These people live tweet or live blog about the event or program they are watching on the television. Live tweet is a big opportunity for brands, especially during events. While television is the most popular device to consume video, streaming content is being watched more on tablets, smartphones, and computers. At least thirty-three percent of the younger generation prefers to watch video content on their second devices. Eighty-seven percent of people use a smartphone as the companion device for a television. Brands are now taking to market their product on this popular second screen. They are using technology to detect the TV spot and message the viewers about the offers etc. The technology also detects the competitor’s ads and compares the pricing and other features. Second screen usage is going to rise. And the multiscreen approach is here to stay. Millennial browse the web when they watch the commercials on television and what else is the best place to grab their attention and show your appealing content. What is B2B Video Marketing Strategy ? What is B2C Video Marketing Strategy ?